Workers’ Compensation? Can I Sue My Employer Instead? Assault or Battery- injury to your physical body by force or threat of force, for example, by being punched or struck. Injury is not just limited to physical injury like cuts or bruises, however; it can include nonconsensual sexual contact, “set-ups” intended to harm an employee or another individual days or hours after it has been set, or other forms of unwanted touching that do not result necessarily in blood or a need for medical attention. Fraud – in essence, someone lied to you and in doing so, caused you injury. There are many types of fraud that can appear in the employment context, such as identity theft, insurance fraud, etc., and can be civil in nature (as opposed to criminal fraud, a situation that is resolved through measures other than a civil lawsuit). 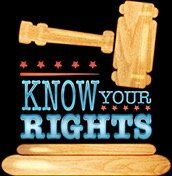 Defamation – defamation occurs if your employer said something false about you that was injurious to you, your reputation, your career, etc. and thereby damaged you. Defamation includes libel and slander (which are differentiated, largely, by the mode in which the false statements were communicated). Intentional Torts Injurious to Something Other Than Your Physical Body – intentional torts like the intentional infliction of emotional distress (which causes trauma from truly outrageous or damaging conduct), false imprisonment (being confined against your will without any authority to do so), trespass (involving someone entering or utilizing your property without proper authority to do so), or invasion of privacy. Workers’ compensation claims, including denial or termination of benefits that you believe was wrongful, are generally handled through administrative means. However, once you have exhausted all administrative resources to appeal these types of decisions, it may be appropriate to resort to the civil courts system and a lawsuit to retain or acquire workers’ compensation benefits you are owed. If you have suffered injury in the workplace, believe that you may be the victim of an intentional tort by your employer, or are concerned that your benefits may have been wrongfully denied or terminated, an experienced workers’ compensation lawyer can assist you. Contact Barbas, Nunez, Sanders, Butler & Hovsepian, Lawyers and Counselors at Law in Tampa, Florida. You can call toll-free at 1 (800) 227-2275 for a consultation today.